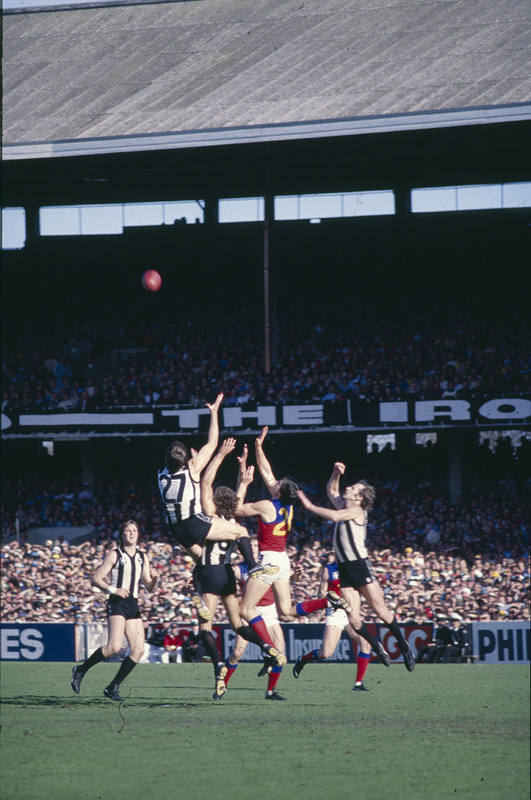 ‘Football at MCG: Collingwood and Fitzroy Players Going for a Mark’. 1980. State Library of Victoria courtesy of Rennie Ellis Photographic Archive. Tim Hogan, the editor, is a librarian at the State Library of Victoria, his roles there including the management of the Australian history and literature collections and newspaper collection. 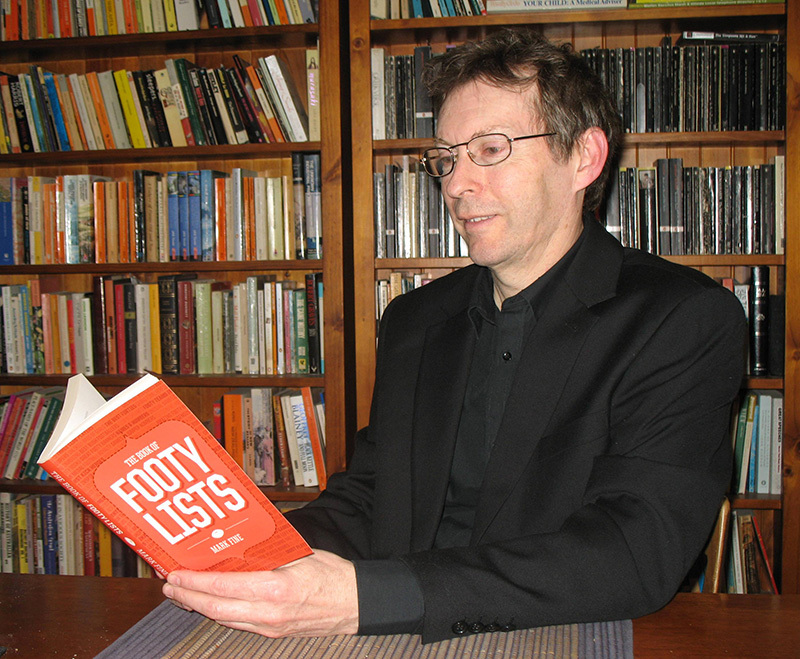 He has made numerous presentations about the Australian Rules football material at the Library and has also contributed football-themed pieces for the Library’s blog and web pages. 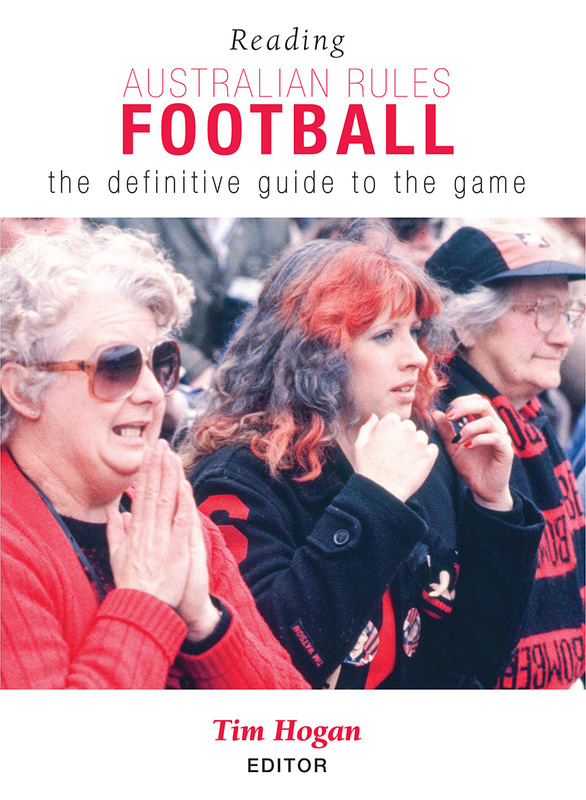 This is Hogan’s second major publication, as he was the editor of Reading the Game (2005). Fred Cahir is an Associate Professor in Aboriginal Studies at Federation University, Ballarat, Victoria. Rob Hess is an Associate Professor in Sport History with the College of Sport and Exercise Science and ISEAL at Victoria University. David Flegg is a librarian at the State Library of Victoria and was an AFL goal umpire in more than 300 games. Lionel Frost is an Associate Professor in the Department of Economics and Head of the Business School at Monash University. Trevor Ruddell is the deputy librarian at the Melbourne Cricket Club Library. Ian Warren is a Senior Lecturer in Criminology in the Faculty of Arts and Education at Deakin University.